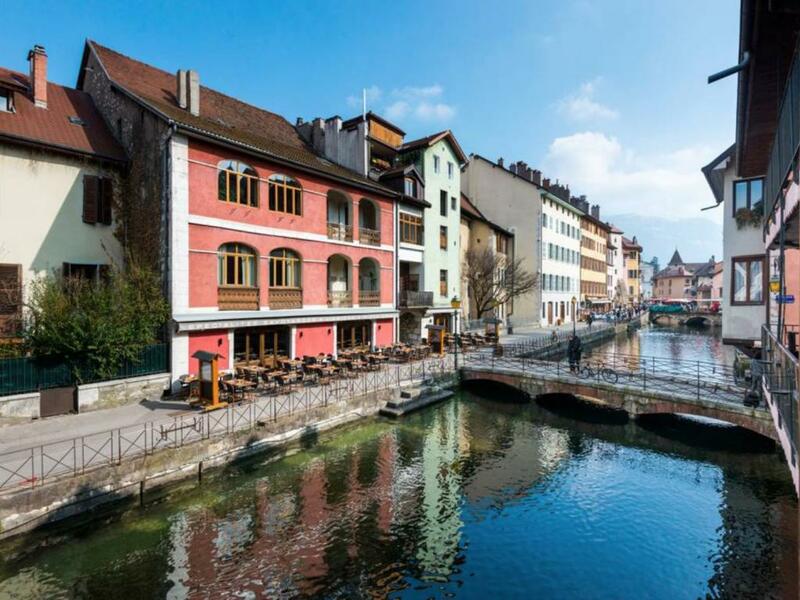 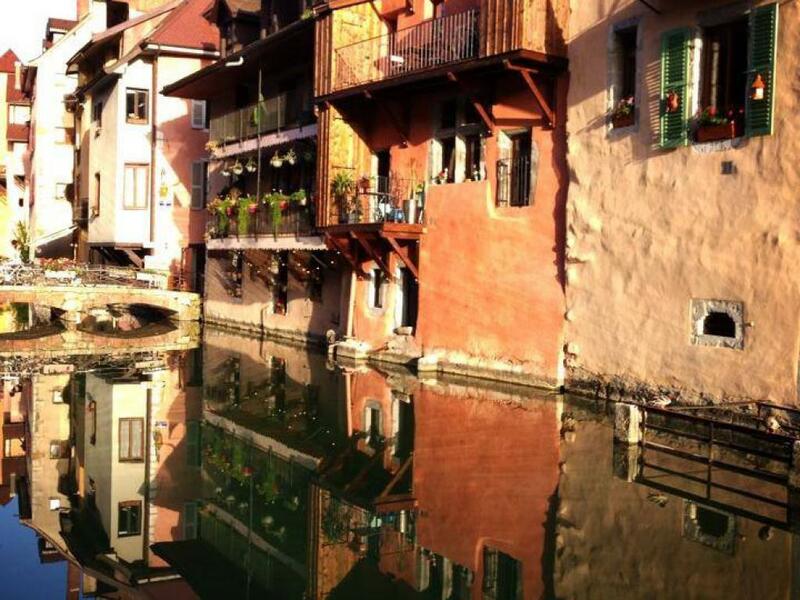 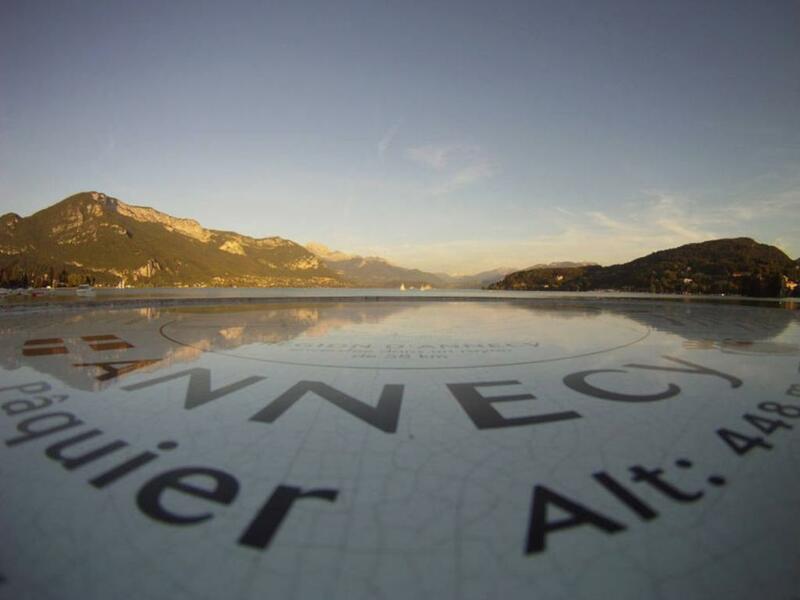 Christel & Stéfane offer you a new accommodation concept in Annecy in 4 Stars French Classification. 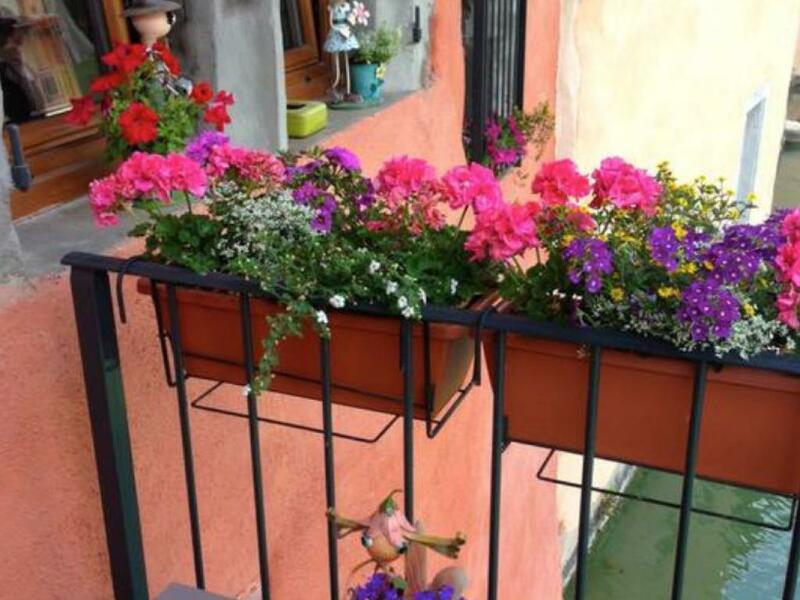 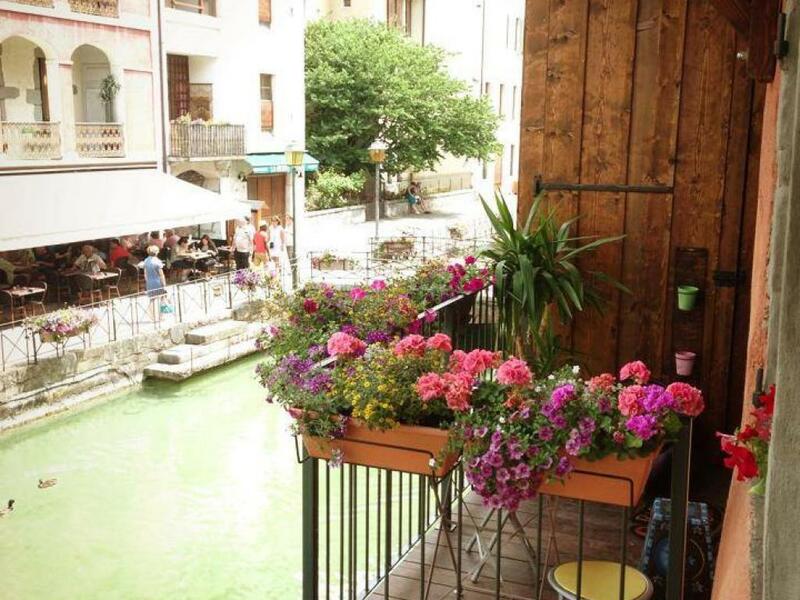 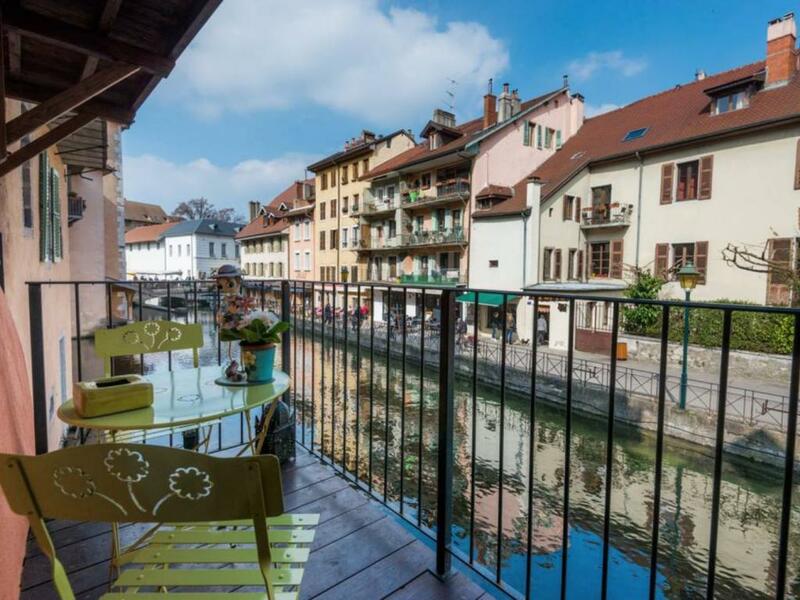 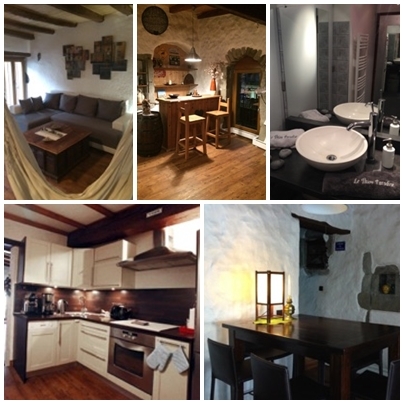 The Thiou Paradise is an apartment with charm (completely no-smoking), located in the heart of the old town by the side of the Thiou (river), within a few minutes walk from the lake. 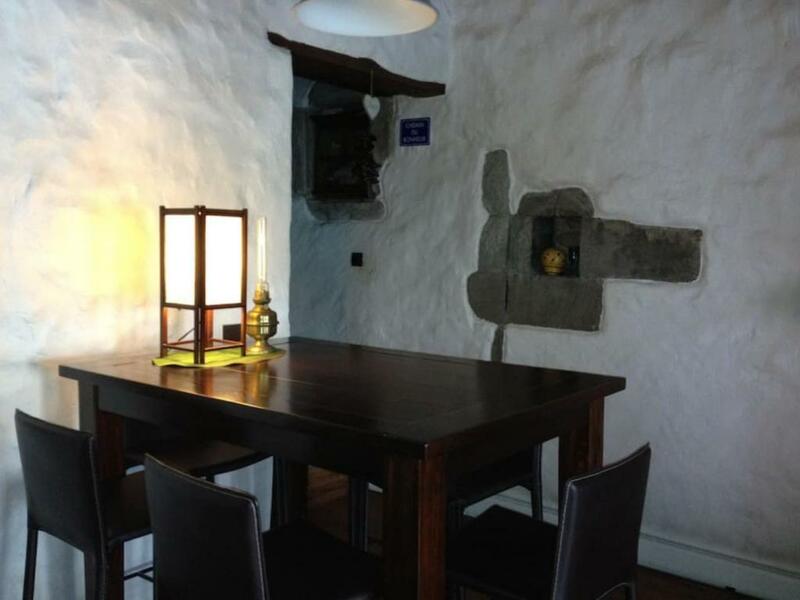 It's the ideal place for a short break with your loved one or business trip. 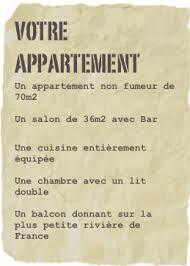 Different opportunities are available to you : from two nights to several weeks. 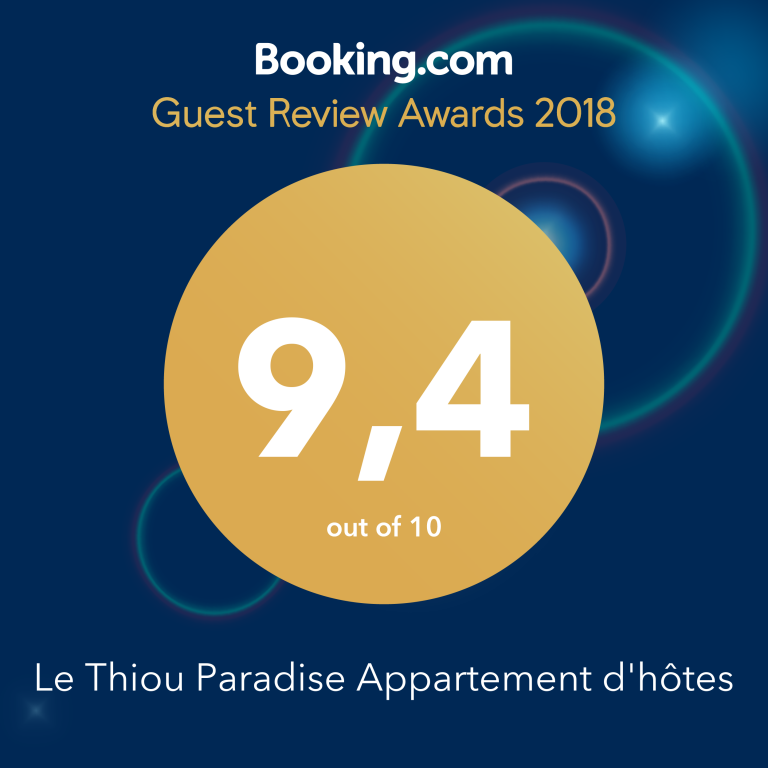 The Thiou Paradise an a access by the arcades, apartment on the first floor, no elevator, overlooking the Thiou canal, bedroom on the inner courtyard. 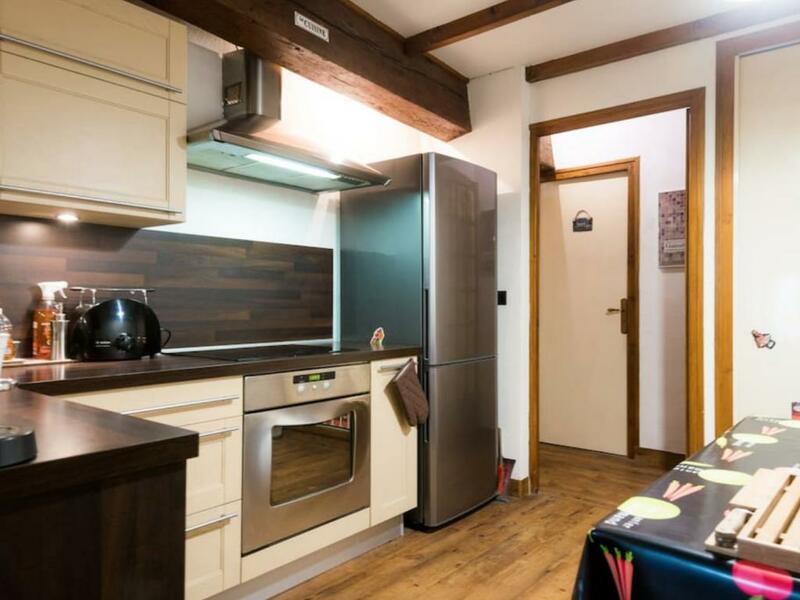 The apartment was freshly renovated in 2015, 75sqm at your disposal. 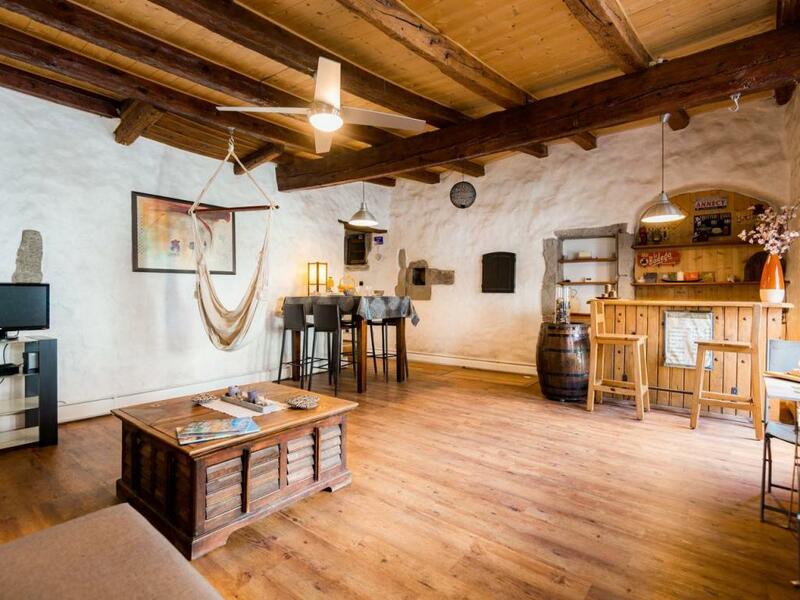 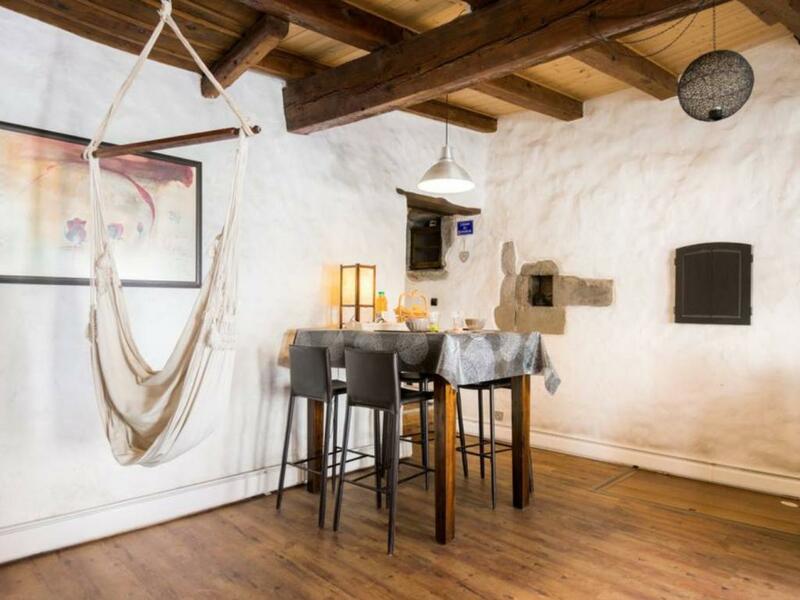 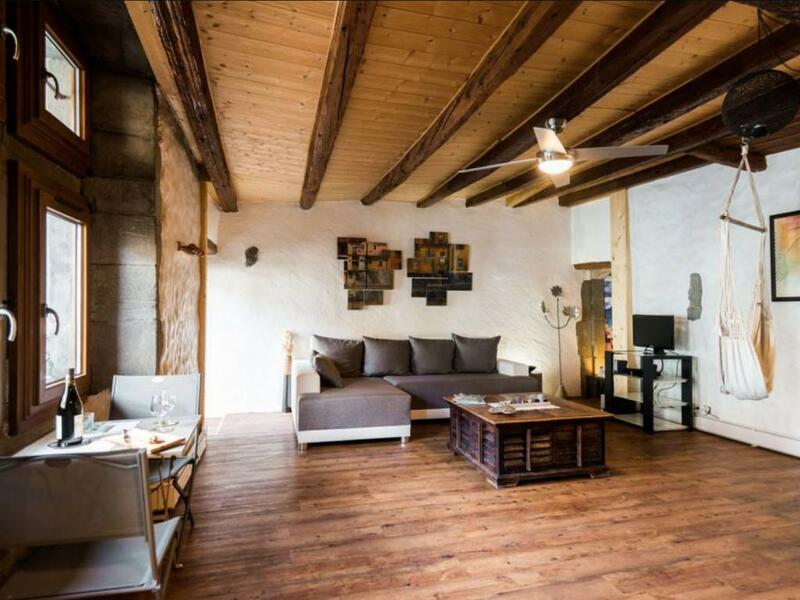 A big living room with exposed beams and lime-rendered walls, looking down on the thiou with a balcony on the river. 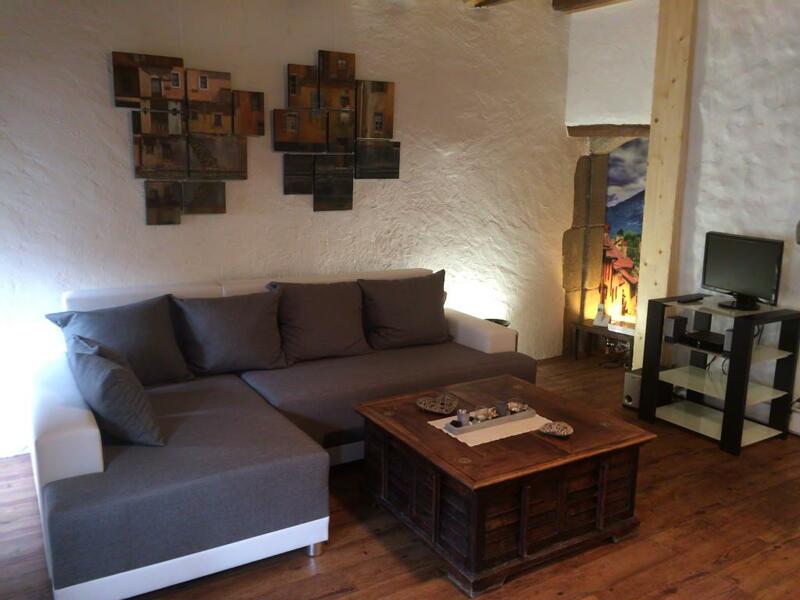 Flat screen with international and french TV channels, musicals radios, free wifi access. 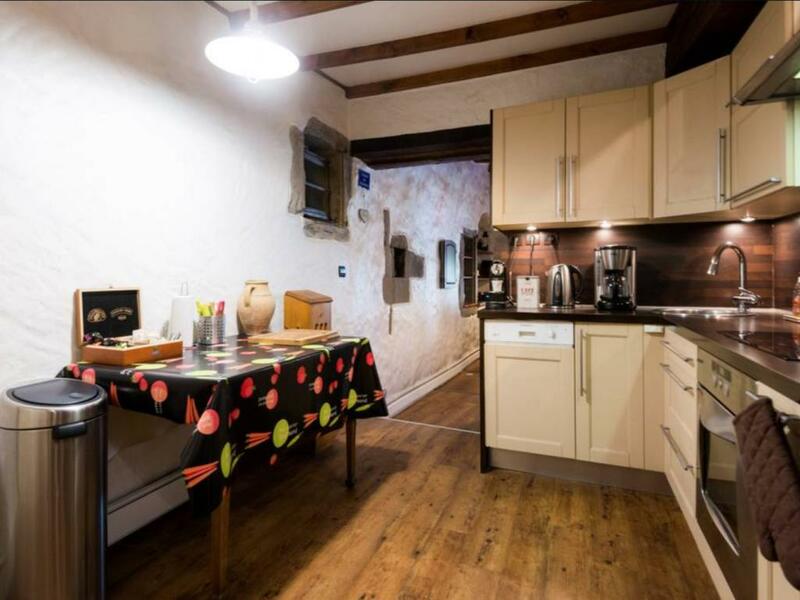 Bar, equipped kitchen with all necessary comfort, Nespresso coffee machine. 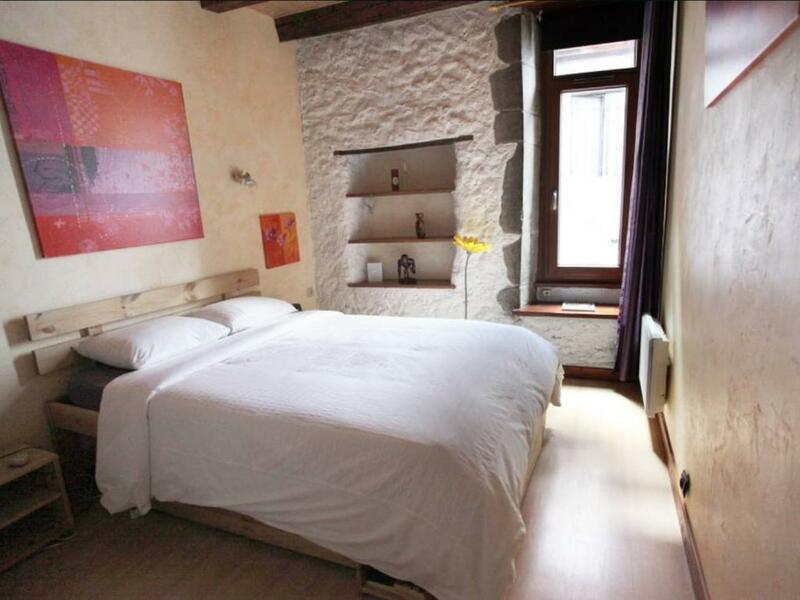 Nice bedroom with a double bed. 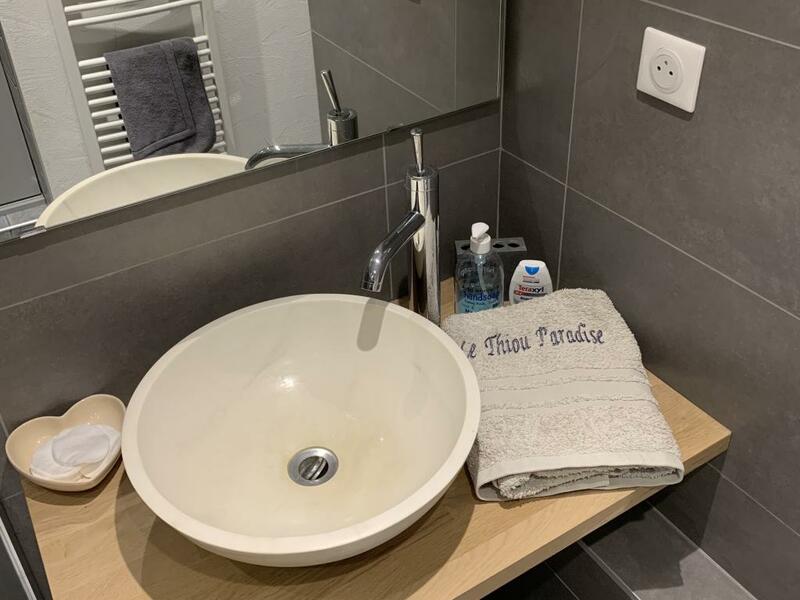 Separate bedroom and toilet.